Bruce Bernard was the leading picture editor of his generation, celebrated for his visual taste, knowledge and judgement of photography. His thirty-year career culminated in the remarkable award-winning book Century, published by Phaidon in 1999. In the 1990s, he was commissioned by a private client to assemble a photographic collection and set about acquiring a selection of images that represented, to his unique eye, the best work in the medium from the whole history of photography, ranging from nineteenth- century pioneers like Muybridge and Fox Talbot to giants of the twentieth century like Andre Kertesz, Man Ray, Brassai and Robert Frank. These one hundred photographs are the result: he does not attempt to cover every period or every notable artist, but rather includes only images that `truly stimulated and satisfied ... and seemed could permanently continue to do so'. In other words what he considered to be classics. This is a unique collection that captures, as Bernard himself put it, `some of the magic of the medium - its uncanny life-preserving qualities and unique perceptions'. 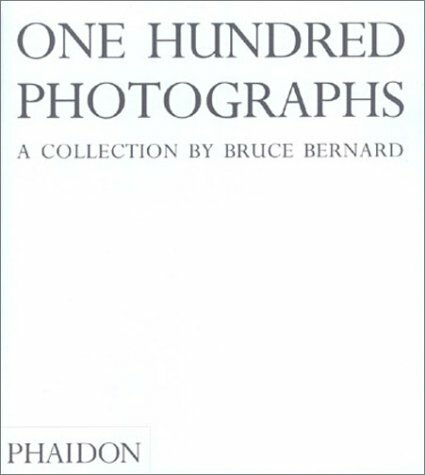 Mark Haworth-Booth, Curator of Photographs at the Victoria and Albert Museum in London, introduces both Bruce Bernard and the collection and also provides commentaries for each of the one hundred photographs.